• Pedagogy – do we need to differentiate instruction according to student variables or ‘learning styles’, or is this all a big myth? • Curriculum – should students study the same subjects in the same order, beginning with ‘foundational’ subjects such as reading or mathematics, or can we vary this order for different students? 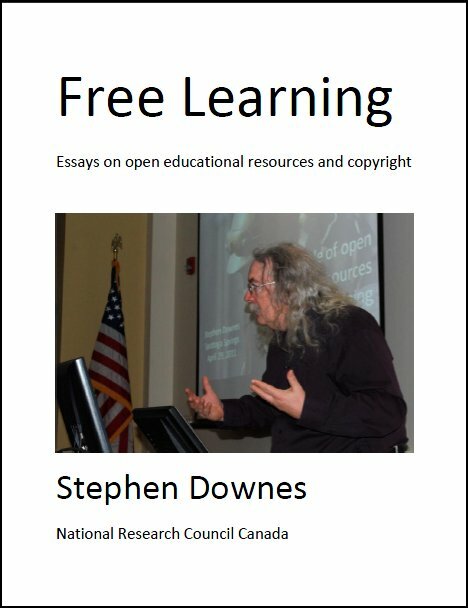 • Learning environments – should students work in groups in a collaborative classroom, or can they learn on their own at home or with a computer? In personalized learning today, the idea is to enable technology to make many of these decisions for us. For example, adaptive learning entails the presentation of different course content based on a student’s prior experience or performance in learning tasks. What these approaches have in common, though, is that in all cases learning is something that is provided to the learner by some educational system, whether it be a school and a teacher, or a computer and adaptive learning software. And these providers work from a standard model of what should be provided and how it should be provided, and adapt and adjust it according to a set of criteria. These criteria are determined by measuring some aspect of the student’s performance. This is why we read a lot today about ‘learning analytics’ and ‘big data’. The intent behind such systems is to use the data collected from a large number of students working in similar learning environments toward similar learning outcomes in order to make better recommendations to future students. The ‘optimized learning path’ for any given learner is found by analyzing the most successful path followed by the most similar students. It’s an open question whether we improve learning employing such methods. Presumably, using trial and error, and employing a wide variety of pedagogical, curricular and environmental variables, we could come upon some statistically significant results. But the question is whether we should apply these methods, for two reasons. First, individual variability outweighs statistical significance. We see this in medicine. While, statistically, a certain treatment might make the most sense, no doctor would prescribe such a treatment without first assessing the individual and making sure that the generalization actually applies, because in many cases it doesn’t, and the doctor is sworn to ‘do no harm’. Second, and perhaps more importantly, it shouldn’t be up to the education system to determine what a person learns, how they learn it, and where. Many factors go into such decisions: individual preferences, social and parental expectations, availability of resources, or employability and future prospects. The best educational outcome isn’t necessarily the best outcome. For these reasons, it may be preferably to embrace an alternative to personalized learning, which might be called personal learning. In the case of personal learning, the role of the educational system is not to provide learning, it is to support learning. Meanwhile, the decisions about what to learn, how to learn, and where to learn are made outside the educational system, and principally, by the individual learners themselves. Personal learning often begins informally, on an ad hoc basis, driven by the need to complete some task or achieve some objective. The learning is a means to an end, rather than the end in itself. Curricula and pedagogy are selected pragmatically. If the need is short term and urgent, a simple learning resource may be provided. If the person wants to understand at a deep level, then a course might be the best option. Personalized learning is like being served at a restaurant. Someone else selects the food and prepares it. There is some customization – you can tell the waiter how you want your meat cooked – but essentially everyone at the restaurant gets the same experience. When educators and policy-makers talk about personalized learning, they frequently focus on the quality of the result. But this is like everybody should eat at restaurants in order to be sure they always get the healthiest meal possible. It may seem like the best option, but even the best restaurant can’t cater to the wide range of different tastes and nutritional needs, and no restaurant will help the person learn to cook for themselves. Ultimately, if people are to become effective learners, they need to be able to learn on their own. They need to be able to find the resources they need, assemble their own curriculum, and forge their own learning path. They will not be able to rely on education providers, because their needs are too many and too varied. Views Today: 0 Total: 2366. Last Updated: Aug 20, 2018 3:36 p.m.